Media reports said the ride-hailing giant is seeking to raise some $10 billion in what would be the largest stock offering of the year. That could result in a valuation close to $100 billion — an impressive figure but below some earlier estimates amid an ebbing of enthusiasm on growth and profitability, the Wall Street Journal reported. 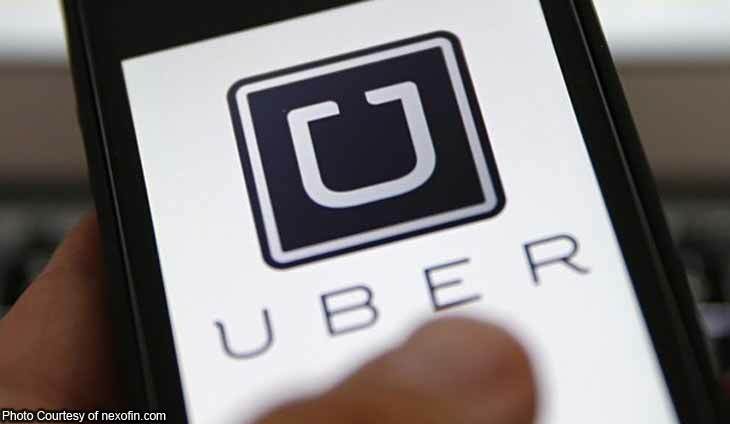 The Journal said details of Uber’s initial public offering (IPO) would be released Thursday and the market debut was expected in May. The IPO comes after a lackluster response to last month’s market debut for Lyft, the main US rival of Uber. Lyft shares rose on the first day of trade and then lost ground. On Wednesday, shares were down more than 10 percent from the $72 offering price. The Journal, citing unnamed sources, said Uber recently provided documents showing a potential price range of between $48 and $55 a share, implying a valuation of between $90 billion and $100 billion. These figures could change ahead of the market launch but would be below the estimated $120 billion suggested by some investment bankers, according to the report. “Even a valuation in the $90 billion to $100 billion range would represent a healthy premium to the latest private valuation (some $76 billion) in August 2018,” said Matt Kennedy of the IPO research firm Renaissance Capital. Analysts warn both Uber and Lyft will need strong growth to justify their lofty valuations, and face multiple challenges to their business model which has disrupted traditional taxi services and relies on drivers to be independent contractors. The ride-hailing firms are also investing in other “last mile” transport options such as electric bikes and scooters, and in the long run are looking to autonomous vehicles as a way to reduce dependence on private cars and reshape urban landscapes. Uber is the latest, and will be largest of the so-called “unicorns,” or venture-backed startups worth at least $1 billion, to look to Wall Street listings to expand their capital base. But some of the early enthusiasm about this unicorn herd has waned and there are hints that private investment rounds may have been priced too high. Pinterest unveiled its IPO price range with an estimated valuation of some $11 billion, below the $12 billion in its most recent private funding round. Other big tech firms which could join the stampede include the business collaboration startup Slack and big data firm Palantir. Aswath Damodaran, a New York University business professor specializing in corporate valuations, calculated Lyft to be worth around $16 billion, below its the more than $20 billion at its IPO price. Uber released financial data earlier this year showing it lost $865 million in the fourth quarter of 2018, compared with $1.1 billion in the same period a year earlier. The San Francisco-based firm reported revenue of $3 billion, a 25 percent increase from a year earlier. Chief executive Dara Khosrowshahi has promised greater transparency as he seeks to restore confidence in the global ridesharing leader hit by a wave of misconduct scandals over executive misconduct, a toxic work atmosphere and potentially unethical competitive practices. Are good times over in the US?